Ricky Miller is pushing to start for Port Vale when they host Bury. The forward returned from suspension as a substitute at Stevenage, where Vale were held to a goalless draw on Tuesday. Connell Rawlinson and Theo Vassell returned from injury in that game and are expected to retain their places having come through unscathed. Owing to respective hamstring and knee injuries, Manny Oyeleke and Cristian Montano are again expected to miss out. Similarly to Miller, Bury's Chris Dagnall is in contention to start after coming off the bench against Newport. He replaced Dom Telford, though his fellow forward has developed an encouraging partnership with Nicky Maynard, so his return would mean breaking that up. Bury are unbeaten in seven, and changes elsewhere are therefore otherwise expected to be minimal. Defender Eoghan O'Connell is again expected to miss out with a hamstring problem. Highlights of the Sky Bet League Two match between Stevenage and Port Vale. In all competitions, Port Vale have lost one of their last 10 home matches against Bury (W4 D5). 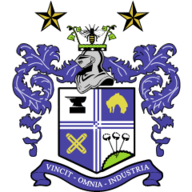 Port Vale and Bury haven't met in League Two since the 2010-11 season - the Valiants winning 1-0 on the opening day of the campaign at Gigg Lane and drawing 0-0 at Vale Park. 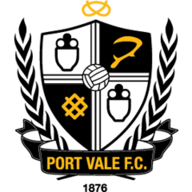 Port Vale have only won one of their last five league matches at home (D1 L3), a 2-0 win over Northampton back in September. Highlights of the Sky Bet League Two match between Bury and Newport County. Bury have won five of their last 10 league matches (D4 L1), as many victories as in their previous 32 such games (P32 W5 D9 L18). Port Vale boss Neil Aspin and Bury manager Ryan Lowe will be meeting in the dug-outs for the very first time.